I heard this story a few years ago during a Kwanzaa celebration. It stayed with me as a memorable way to introduce my own children to the holiday and I went searching for it. I grew up celebrating Kwanzaa in Florida, not knowing that it originated here in Los Angeles. 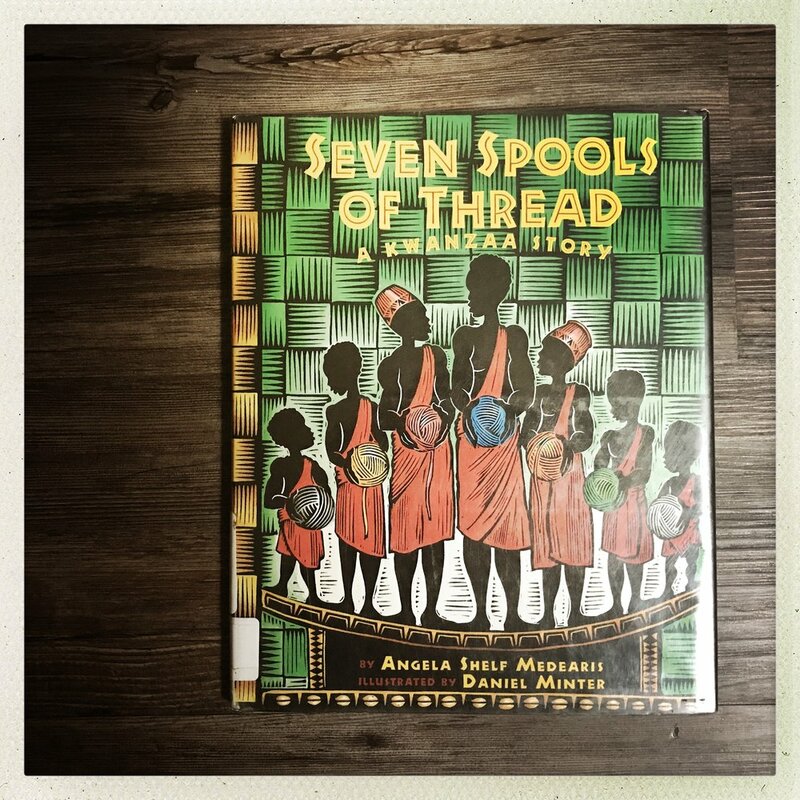 Seven Spools of Thread is written by Texan author Angela Shelf Medearis, a writer of over 100 books, mostly for children. She is better better known as The Kitchen Diva with her own cooking show and catalogue of cook books. 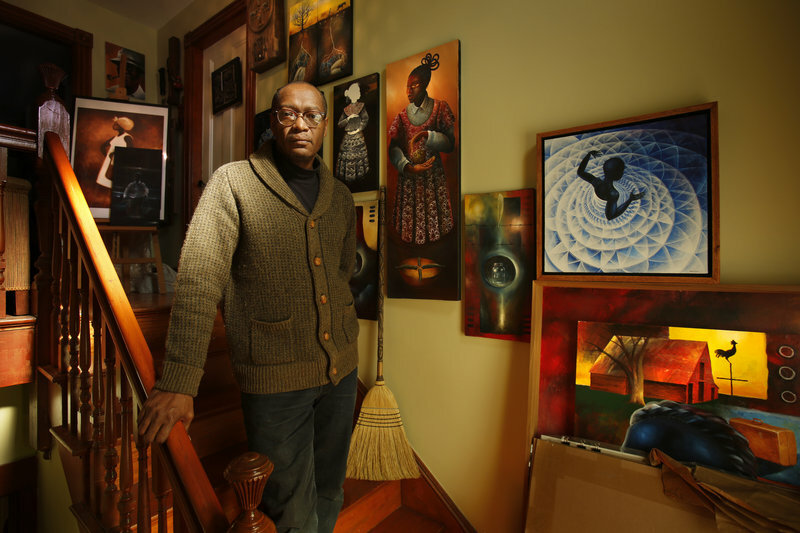 The amazing illustrations are by Daniel Minter, a painter and sculpture whose work hangs in galleries all over the world. Medearis set her story in a small Ghanan village. Seven brothers spend all day arguing and fighting. Their father is heartbroken and later dies. He leaves his sons a strange request in his will: they must learn to turn seven spools of thread into gold by sundown or they will receive no inherence. Can the seven quarreling brothers finally learn to work together? The joy of Kwanzaa is spending time with your family. Through this story we remember how much we gain from working together in our homes and out in the community. It takes a village and Medearis weaves her narrative with clarity. The story of the seven arguing brothers is also memorable because who hasn't have a fight with their sibling? The illustrations are a vibrant mix of colors against the jet black bodies of the villagers. He uses only the seven colors of the story for his backgrounds. It's a clever way to show parallels to the colored spools in the story. If you don't have any experience with Kwanzaa, this book gives a very short overview of what it is and what each day represents. It also includes a small craft you can do that connects with the story and keeps with the tradition of making homemade gifts to give. 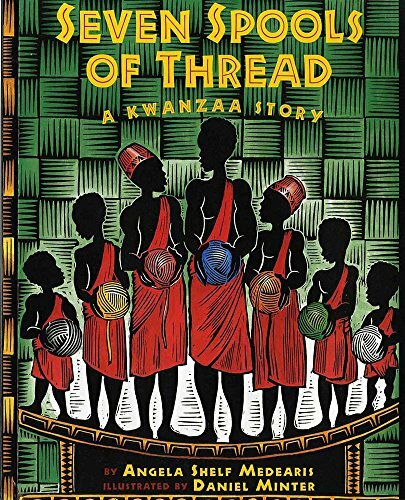 Whether you are new to Kwanzaa or have celebrated it your whole life, I highly recommend Seven Spools of Thread for your home library. You can learn more about Angela Shelf Medearis here on her website. You can also learn more about Daniel Minters here on his site.